The untold story of the extraordinary mother and daughter who brought Emily Dickinson’s genius to light. Despite Emily Dickinson’s world renown, the story of the two women most responsible for her initial posthumous publication—Mabel Loomis Todd and her daughter, Millicent Todd Bingham—has remained in the shadows of the archives. A rich and compelling portrait of women who refused to be confined by the social mores of their era, After Emily explores Mabel and Millicent’s complex bond, as well as the powerful literary legacy they shared. Mabel’s tangled relationships with the Dickinsons—including a thirteen-year extramarital relationship with Emily’s brother, Austin—roiled the small town of Amherst, Massachusetts. 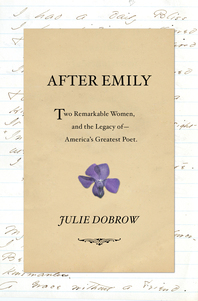 After Emily’s death, Mabel’s connection to the family and reputation as an intelligent, artistic, and industrious woman in her own right led her to the enormous trove of poems Emily left behind. So began the herculean task of transcribing, editing, and promoting Emily’s work, a task that would consume and complicate the lives of both Mabel and her daughter. As the popularity of the poems grew, legal issues arose between the Dickinson and Todd families, dredging up their scandals: the affair, the ownership of Emily’s poetry, and the right to define the so-called "Belle of Amherst." 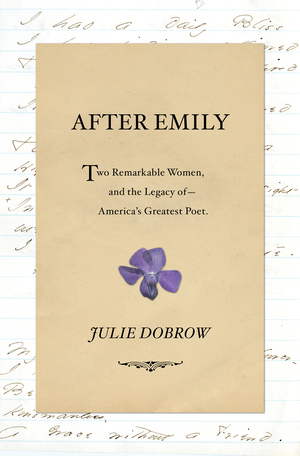 Utilizing hundreds of overlooked letters and diaries to weave together the stories of three unstoppable women, Julie Dobrow explores the intrigue of Emily Dickinson’s literary beginnings. After Emily sheds light on the importance of the earliest editions of Emily’s work—including the controversial editorial decisions made to introduce her singular genius to the world—and reveals the surprising impact Mabel and Millicent had on the poet we know today.